Certified Organic and Raw Wheatgrass Powder made from the juice of freshly squeezed wheatgrass. This organic Wheatgrass powder is dried at low temperatures in order to retain its nutrients, including vitamins (A, C, E and K), minerals (potassium, iron, zinc, copper and selenium), protein, fibre, amino acids, enzymes and chlorophyll. Wheatgrass powder is made from the tender young shoots of the Triticum aestivum - a common wheat plant that’s been cultivated for over 5000 years and was prized by the ancient Egyptians who considered its leafy blades both sacred and highly beneficial. Wheatgrass Powder contains vitamin A, C, E and K.
Contains the minerals, potassium, iron, zinc, copper and selenium. Contains protein, fibre, amino acids, enzymes and chlorophyll. Has been dried at low temperatures in order to optimally preserve its naturally occurring nutrients. Wheatgrass powder makes a perfect addition in your favourite green smoothies! 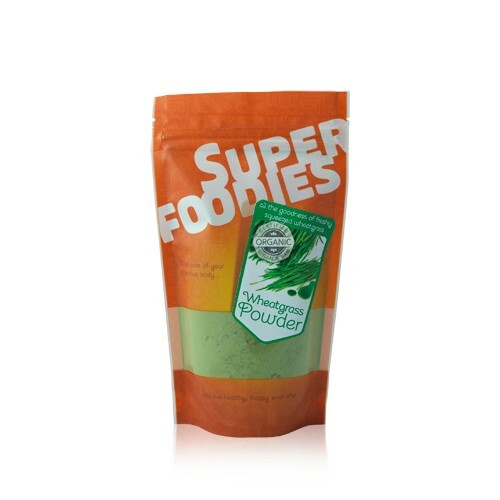 Wheatgrass Powder is an ideal addition to your favourite smoothies, shakes, juices and protein drinks. 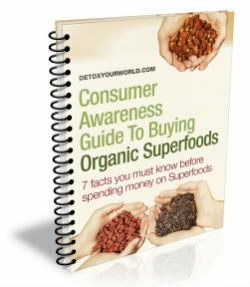 Wheatgrass powder can also be used to enhance your choice of rawfood dishes, lending them a wonderfully rich green hue. Chop as necessary for your blender to sized chunks your pear, apple and banana. Firstly put in your spinach. Now add the rest of your ingredients. Blitz until everything has incorporated and smooth. Wheatgrass powder is made from the shoots of the wheat plant - the juice from these shoots can also be enjoyed fresh. Wheatgrass powder versus wheatgrass juice - Wheatgrass powder is made from the tender young shoots of the wheat plant – the live juice from these shoots can also be enjoyed fresh after pressing in a slow juicer, depending on your personal preference. Has been popular in the West ever since American scientist, Charles F. Schnabel, first made wheatgrass powder from fresh wheatgrass in the 1930’s. According to Charles F. Schnabel, 100 grams of wheatgrass powder boasts the same nutritional value as 2.3 kilos of raw vegetables. 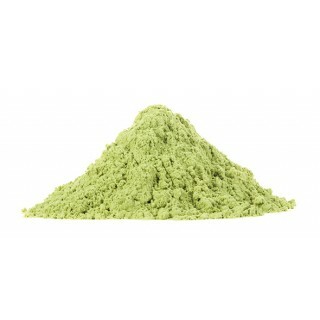 The natural plant pigment, chlorophyll, gives wheatgrass powder its trademark green colour. Wheatgrass is also suitable for indoor cultivation. Wheatgrass powder is rich in zinc. 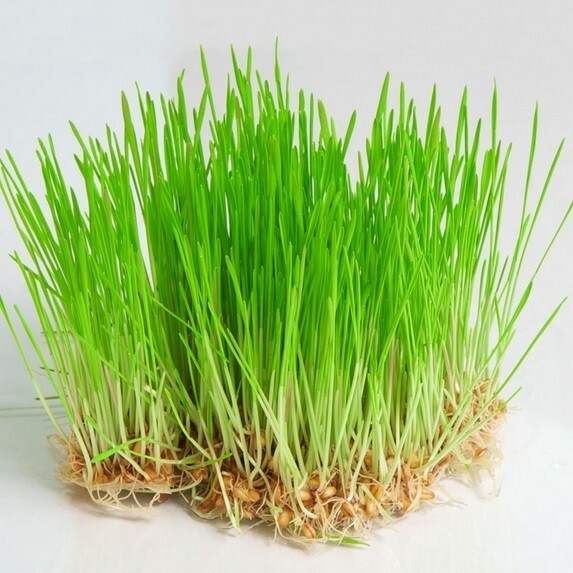 The zinc in wheatgrass powder contributes to normal DNA synthesis, normal acid-base metabolism, normal carbohydrate metabolism, normal cognitive function, normal fertility and reproduction, normal macronutrient metabolism, normal metabolism of both fatty acids and vitamin A, and normal protein synthesis. It also contributes to the maintenance of normal bones, normal hair, normal nails and normal skin. In addition, zinc contributes to the maintenance of normal testosterone levels in the blood, the maintenance of normal vision, the normal function of the immune system and the protection of cells from oxidative stress. Wheatgrass powder is rich in magnesium. The magnesium in wheatgrass powder contributes to a reduction of tiredness and fatigue and electrolyte balance. It also contributes to a normal energy-yielding metabolism, normal functioning of the nervous system, normal muscle function, normal protein synthesis and normal psychological function. In addition, magnesium contributes to the maintenance of normal bones and normal teeth, and has a role in the process of cell division. This wonderful green is the same lovely one by Detox Your World since 2000, but just now in the brand new eye catching Superfoodies bag. Get your fix of this vibrant, nutrient essential green, safe in the fact it is the best you can buy, with it being sourced by the experts at Detox Your World since 2000. Do not buy wheatgrass powder if you have an allergy to grains or gluten. Always read the enclosed product information before you eat wheatgrass powder. Packaged in an area where nuts are processed. Always consult your GP before you decide to order wheatgrass powder, particularly if you suffer from celiac disease or gluten intolerance. In rare cases, eating wheatgrass powder may cause nausea, decreased appetite and constipation. Women who are pregnant or breastfeeding are advised not to exceed the daily dose of wheatgrass powder. Stop eating wheatgrass powder two weeks prior to surgery, as this product can lower blood sugar levels.